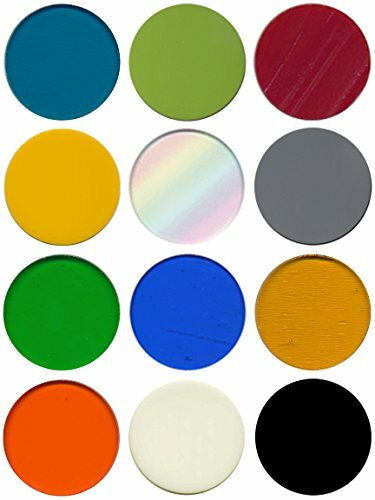 This listing contains 12 Pre-Cut Fusible Glass Shapes, 1-Inch Circle, 96 COE made from System 96 Glass. This set inlcudes the multi-colors you see in the photo. This group includes a combination of transparent, opalescent and iridescent 1" pre-cut fusible glass circles. You will receive EXACTLY what is shown in the listing. Great for fusing jewelry pieces and to use with dichroic glass. Fantastic for mini or microwave kilns. Just piece and fuse at full fuse temperature. Any minor imperfections in the circles will dissapate during full fuse cycle. View More In Fusible Glass Supplies. If you have any questions about this product by New Hampshire Craftworks, contact us by completing and submitting the form below. If you are looking for a specif part number, please include it with your message.